Good toys have staying power; they engage. They help build attention spans, not fragment them. A good toy does not offer answers; it stimulates questions and presents problems for solving. So what are the most popular toys for kids for a 2 year old, 4 year old, 8 year old or another age range? To be honest it is a difficult task to find out as popularity changes and toys develops rapidly. We continue to update our Toys by age section, constantly checking reviews and sales volume together with a lot of other factors to provide you with some good gifts suggestions for kids. Can be played with in many ways. Challenges a child to do, think, or feel. 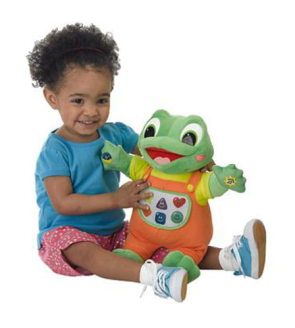 Contributes to the development of a child’s physical, mental, social, and emotional skills. Is attractive and well made, with pleasing shapes, colors, textures, or sounds. Is fun and fits a child’s talents, interests, abilities, and size. Fits in with your own tastes, knowledge, and pocketbook.